Throughout Italy and particularly in the Langhe and Monferrato regions of Piemonte one can find many old stone buildings which have been for many reasons neglected by their current owners. These old rustic houses or rustici as the Italians call them, usually have a farming connection and consist of an L shape building with haylofts which usually include wonderful arches. A typical rustico will be found in a rural area and have commanding views of the local countryside and as such can make an ideal location for your dream Italian home. These old farm properties usually feature original cotto floor tiles and vaulted ceilings. Unfortunately the condition of these houses are usually in a state of disrepair and require complete restoration. The renovation of these rustici is an expensive process but ultimately you wind up with a property built to your specification and if restored sympathetically could prove to be a good investment over the years. 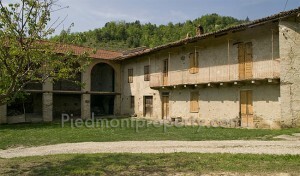 Traditionally restored farmhouses also prove popular for holiday rentals in Piemonte. You need to be or have someone fluent in Italian to manage the project and be sure to get a quote for all the additional taxes involved as these soon can mount up. So in conclusion if you can’t find the property of your dreams here in Italy, consider a rustico and renovate it yourself. 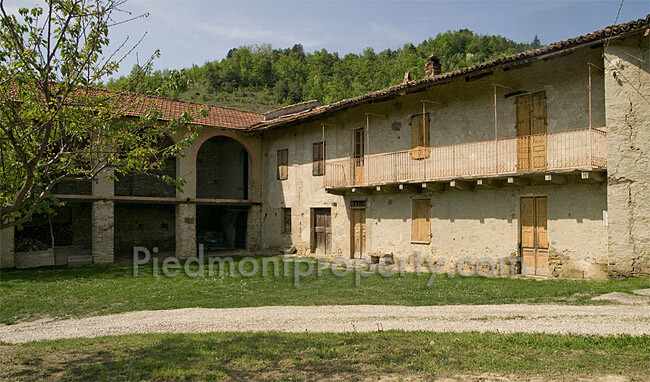 This entry was posted in News and tagged casa, Case, farmhouse, Italian, Langa, Langhe, Monferrato, Piemonte, Renovation, Restoration, Rustici, Rustico on Tuesday March 23rd, 2010 by Clive Wisbey. Please our apologies for lack of posts recently but our work commitments here in the Langhe have been tremendous. Summer in Piemonte and Italy in general are wonderful for music lovers, the long hot summers are perfect for outdoor festivals and concerts. Monforte d’Alba is currently hosting its annual jazz festival and includes artists such as the Blind Boys of Alabama and the wonderful Patty Pravo. Meanwhile just down the road Steve Hackett from Genesis fame is playing an open air gig at Asti. This week I’m off to see two of my favorite guitarists Robin Trower at Savona and the very excellent American guitarist Robben Ford. I had the pleasure of talking to Robben a few weeks ago and he said how much he loved it here in Italy. Many open air music events and festivals are held throughout the whole of Italy during the summer, there’s something for everyone, whatever your tastes, jazz,rock,blues,pop,classical,folk etc. For me life does not get any better than watching a gig outside in Italy with a glass of Italian wine. Even Boney M are playing just down the road! I’ll let you know how the gigs went. This entry was posted in Piedmont region and tagged Italian, Muisc, Robben Ford, Robin Trower on Sunday July 19th, 2009 by Clive Wisbey. I’m often asked about the best way of learning the language especially by people who are moving here full time and starting a new life in the wonderful Piemonte region, and although my Mother is Italian, which of course gave me a huge advantage, I’d like to share some tips with you which I have picked up over years living here. I think its important to understand that the people here appreciate any effort to speak their native language therefore creating a positive environment in which to learn. This entry was posted in News, Piedmont region and tagged Italian, Italian language, Language lessons, Learn to speak Italian on Thursday August 7th, 2008 by Clive Wisbey. Life in Italy – Setting up a new life in Italy. Sharon Lee on Life in Italy – Setting up a new life in Italy. Rebecca on Life in Italy – Setting up a new life in Italy. Kirsty Davis on Life in Italy – Setting up a new life in Italy.